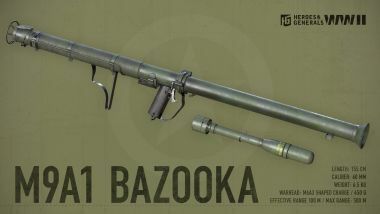 The M9A1 was part of the “Bazooka”/”Stovepipe” line of shoulder fired anti-tank rocket launchers. The M9A1 is a Light Infantry Anti-Tank Weapon with adjustable sights to increase its accuracy and effective range. The launcher uses M6A3 hollow charged rockets that have great flight stability and improved armor penetration. 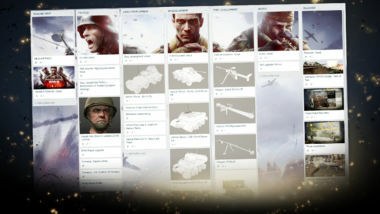 The M9A1 is one of the iconic weapons of WWII and was allegedly deemed by General Eisenhower as one of the 4 most important aspects of the US military system that allowed the ally forces to win the war. 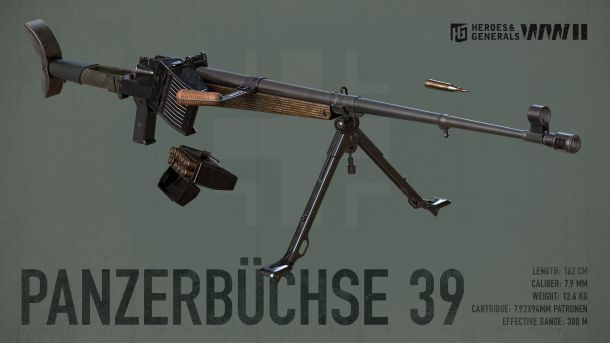 The Panzerbüchse-39 (or PzB 39) is a huge German Anti-Tank rifle that fires a small but mighty cartridge that holds a massive amount of gunpowder that, together with the long barrel of the gun, gives a very high velocity to the projectile capable of punching through lightly armored vehicles. 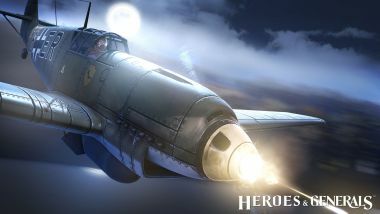 The PzB 39 can be upgraded in the same way as the Soviet PTRD for greater power. 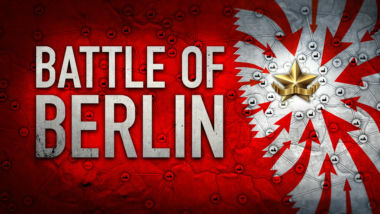 The PzB 39 were effectively used by the German army in the invasion of Poland; and two years later, at the beginning of the war against the USSR. 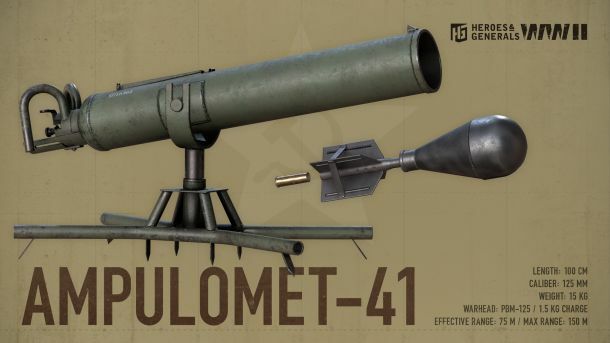 The Ampulomet is a 125mm grenade launcher introduced in 1941 to give the infantry a weapon to fight tanks. The Ampulomet originally launched 125mm glass orbs (AZh-2 glass ampule – hence the name) filled with a mixture of 80% phosphorus and 20% sulfur which ignited when exposed to air! The burning liquid would seep through vision slots or engine grilles on tanks and ignite ammunition or fuel as well as choke and blind the crew. 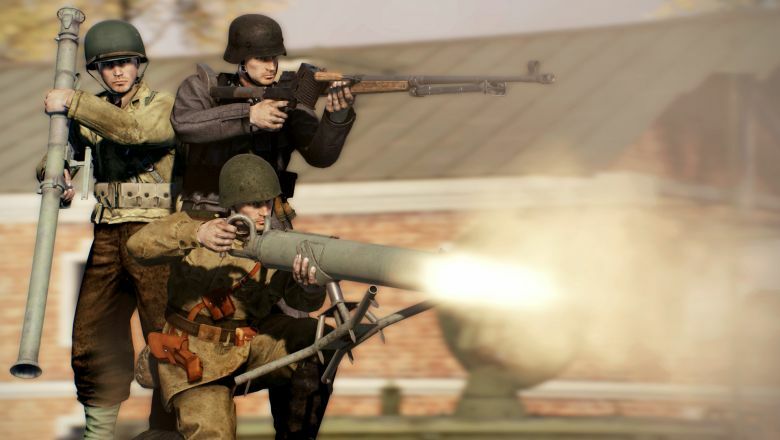 The 12-gauge shotgun cartridges firing the FBM-125 – developed as an aerial bomb – is a shaped charge mine FBM-125, weighing 2.5 kg of which 1.5 kg were the explosive mass was widely used in the Ampulomets to defeat various enemy vehicles (90-mm steel plate pierced with TNT).